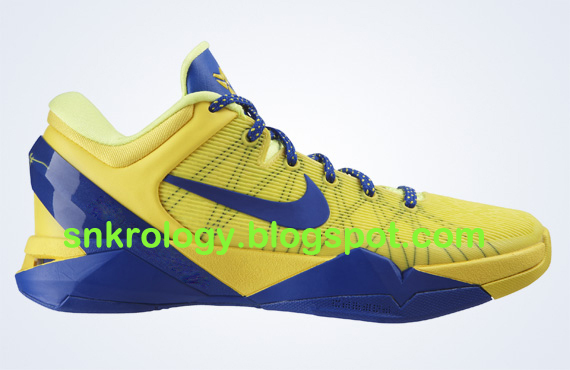 Following last year's release of the Nike Zoom Kobe VI "FC Barcelona", Nike is once again ready to add to the LIMITED EDITION repertoire by releasing the Nike Zoom Kobe VII System "FC Barcelona" for the European market ONLY. Those of us in the United States were basically left wondering WHY? a signature basketball of an American NBA player made by Nike, an American company (although the shoe itself is made in China) released in EUROPE only? Well, that's because Nike is trying to create a buzz out there in Europe where the brand with the three stripes rule the FOOTBALL/SOCCER landscaped. So what better way to collaborate Kobe's love for soccer than to add 'subtle' touches to a great performance shoe than to add bizarre colorings and the FCB logo. I am not a soccer fan, I've only known of these football clubs because they are a Nike team and because Kobe is a fan of the club, other than that, I really don't care much about soccer football clubs, unless they are in an Olympic setting or during the World Cup. 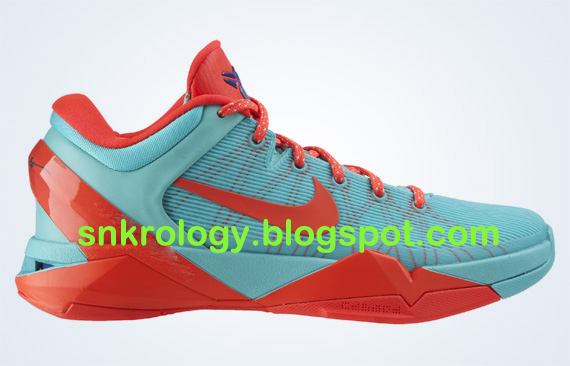 Anyways, check out these FCB Kobe VII due out next week in Europe's Niketown & House of Hoops and let see if you can notice anything else aside from the shoes. Cheers!